Migrating your WordPress.com site is a multi-step process that can be rather intimidating. ClickWP aims to make the move as smooth and painless as possible for you. This document explains the steps involved and what ClickWP needs from you. You should be aware that self-hosted WordPress (WordPress.org) does not have all the features in WordPress.com, particularly the Followers feature and point-and-click font customizations (Premium upgrade). You must also be prepared to take on some administrative and maintenance duties in addition to publishing content. Learn about the difference between self-hosted WordPress and WordPress.com. If you’re sure that self-hosted WordPress is right for you, read on. Please place your WordPress.com migration order with ClickWP before purchasing the items below. We will walk you through the process to prevent any mistakes. A domain name is the URL that a visitor types in their browser to visit your site. The registrar we recommend for domain purchases and transfers is Hover. If you currently use a free example.wordpress.com domain, you’ll need to buy a new domain name. If you have purchased a domain from WordPress.com, you’ll need to transfer it to a new registrar so we can direct the domain to your new site. Web hosting is the rented server space where you install WordPress and host your website. Most web hosting providers also include email, so you can have email addresses like [email protected] at no extra cost. Not all themes on WordPress.com are available to self-hosted WordPress. If that’s the case with your current theme, you may have to choose a new theme for your site. Or since you’re moving to a new site anyway, it may be a good opportunity to change up your theme as well. We’re happy to recommend you some great themes – just tell us what your blog is about and the style that you like, and we’ll provide a few suggestions. Please note that costs related to the items above are not included in the migration fee. The following is a detailed description of how ClickWP will migrate your site from WordPress.com. If you have questions, please contact us. Complete the WordPress.com migration order form. We ask for your WordPress.com login details at this step because we will login to review your site and to make the best recommendations for your situation. If you are buying a brand new domain, go to the Hover website and follow the instructions to buy a domain name and skip to the next step. ClickWP will begin the transfer by requesting a domain transfer authorization code from WordPress.com. Check your email to ensure that you have received the authorization code. Tip for Gmail users: The email may be in the Updates tab. Go to the Hover website and click the Transfer to Hover link. 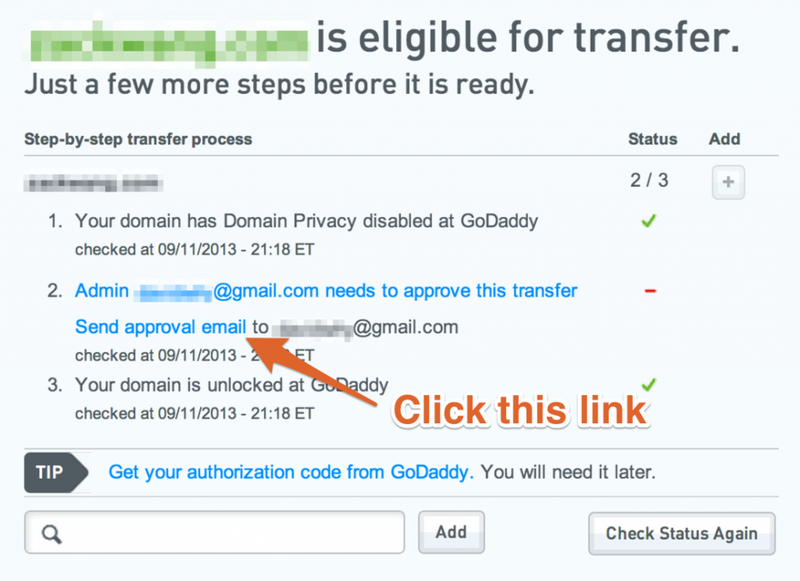 Check that your domain is eligible for transfer. You should see 2 out of 3 green checkmarks. Click the link to send the approval email. Follow the directions to approve the transfer to Hover. You’ll now see 3 green checkmarks. Click the Add (+) button to add domain transfer to your cart, then click Continue to Checkout. Enter the authorization code and click Checkout. Note: You don’t need to add email to your order; these are included free with your web hosting. Complete the checkout process and make payment for the domain transfer. You will create an account with Hover in the process. Congratulations! The first major step of migrating your site is complete. There are literally thousands of web hosts on the internet. Feel fee to research options on your own but ClickWP recommends SiteGround’s WordPress hosting plans. Tip: Select a hosting location that’s geographically closer to the bulk of your audience so that your site loads faster for them. SiteGround’s hosting plans are optimized for WordPress speed and security, include email hosting, and offer awesome support. On their higher plans you can also host multiple sites and include advanced features like 1-click staging sites. Learn more. Important: login to your web hosting control panel to fully activate your account before sending us your login details. Once you are happy with how the site looks and functions, we can proceed to the next step. Your new site is actually already viewable by all visitors, it is simply residing at a temporary URL. ClickWP will now update your domain settings at Hover to direct visitors to the new site instead of WordPress.com. The new settings can take up to 48 hours to fully propagate through the internet. During this period, some visitors may be directed to the old WordPress.com site while others are directed to the new site. 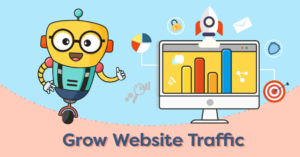 We should plan to make this change over a weekend or a low traffic period to avoid confusing your visitors. Your blog Followers and Subscribers can be transferred to your new site with the Jetpack plugin (learn more). Jetpack will enable some WordPress.com features when activated on your new site, and also show your new site in the WordPress.com My Blogs page. ClickWP will then request a data transfer of your old site from your WordPress.com account. The data transfer may take up to a week, and depends on how quickly the WordPress.com support team attends to our request. The data transfer is out of our hands and we are not able to expedite the process. Requesting the data transfer marks the end of the migration service from ClickWP. However, we will continue to follow up on the data transfer for as long as necessary. Related: WordPress.com support article on moving your subscribers to a self-hosted site. Congratulations on successfully migrating your site from WordPress.com! It’s been a long journey but we are at the home stretch. Here are some final tips and advice from ClickWP. First, we are setting you up with a trial of our ClickProtect support plan. We’ll continue to support you for up to 60 days after your migration so if you ever feel lost, we’ll be right here to point you the right way. Thank you for being a ClickWP customer. We wish you and your new site all the best!